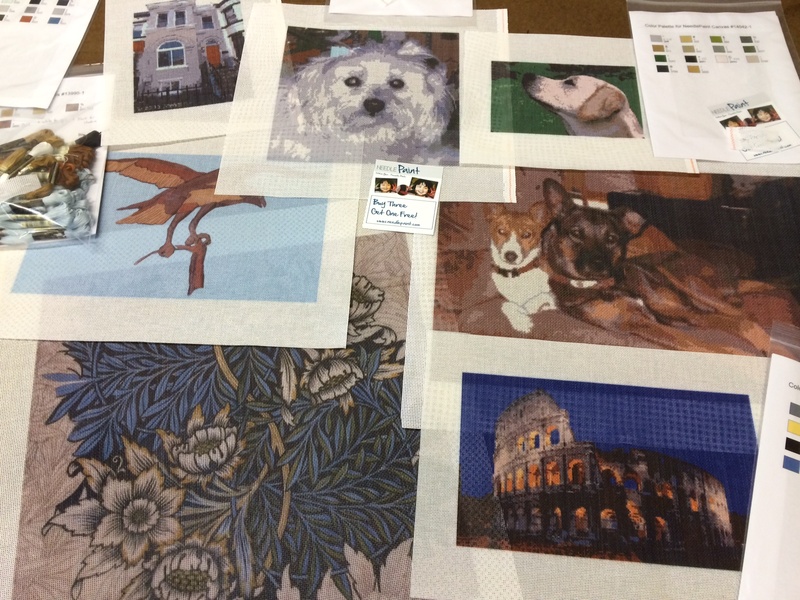 where you can design your own Needlepoint! 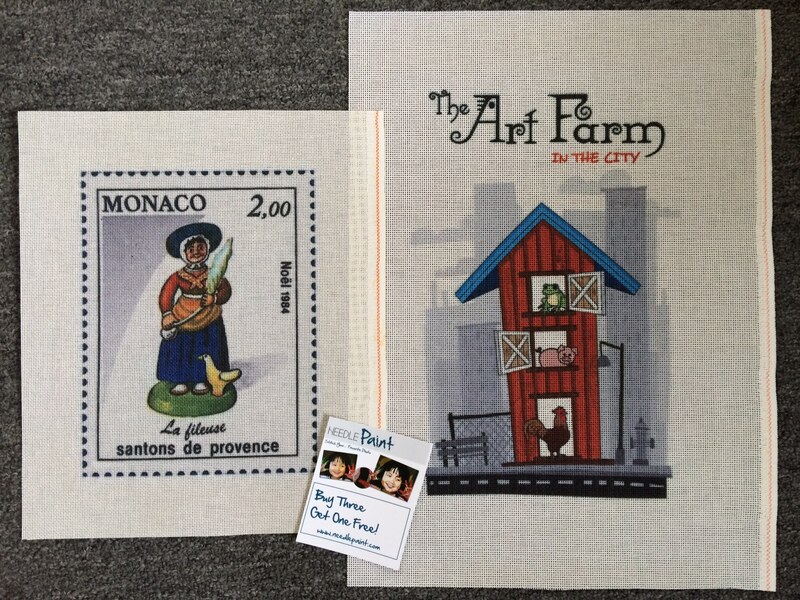 Official blog of www.NeedlePaint.com – where you can design your own Needlepoint Kit! 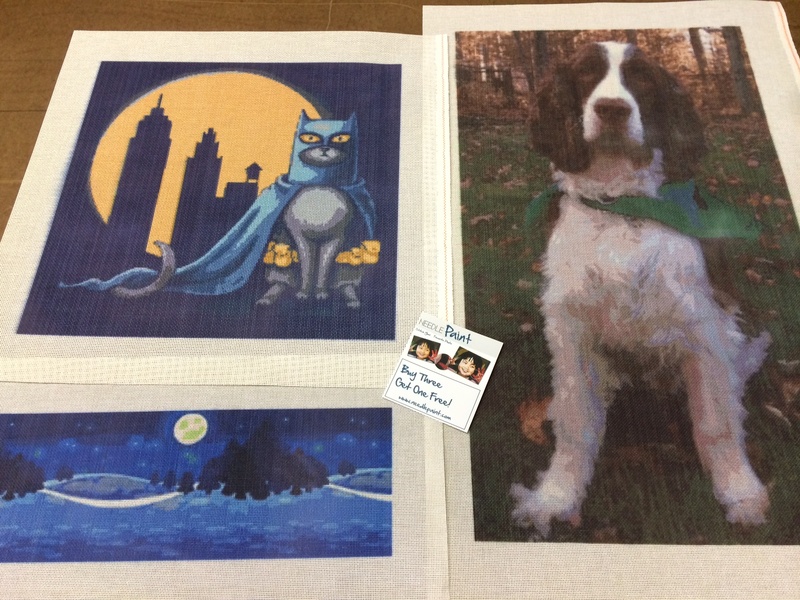 We had a busy week, and made some great custom needlepoint kits! Get into the holiday spirit and brighten up your mantle with this personalized reindeer stocking needlepoint canvas. This design features a beautiful set of antlers and just a hint of red and green on the reindeer to bring the holidays into a modern home. Stitch it all in continental stitch, or get creative and use some fun patterns to make the background pop. As always, after your order is placed, a preview of your name as it will appear on your canvas will be emailed to you for your approval. Don’t forget, time is short, so if you want it for this year, you’d better get started and have plenty of time to stitch! Recently we had a project that needed the talent of an artist to interpret. Our painter sure did a wonderful job! 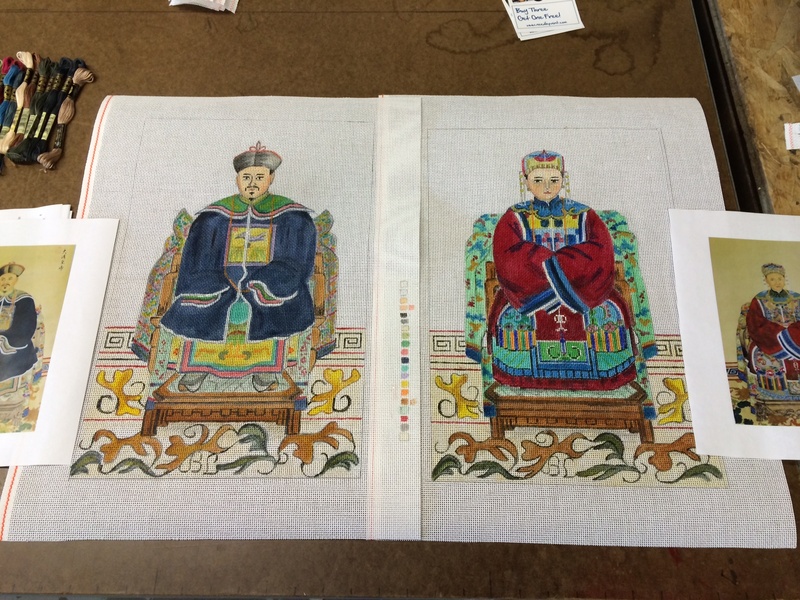 The two Chinese figures are based of antique images that are going to go in the living room of the stitchers home. The other image is of some other printed custom needlepoint canvases we made last week. Such fun, can wait to see them stitched! 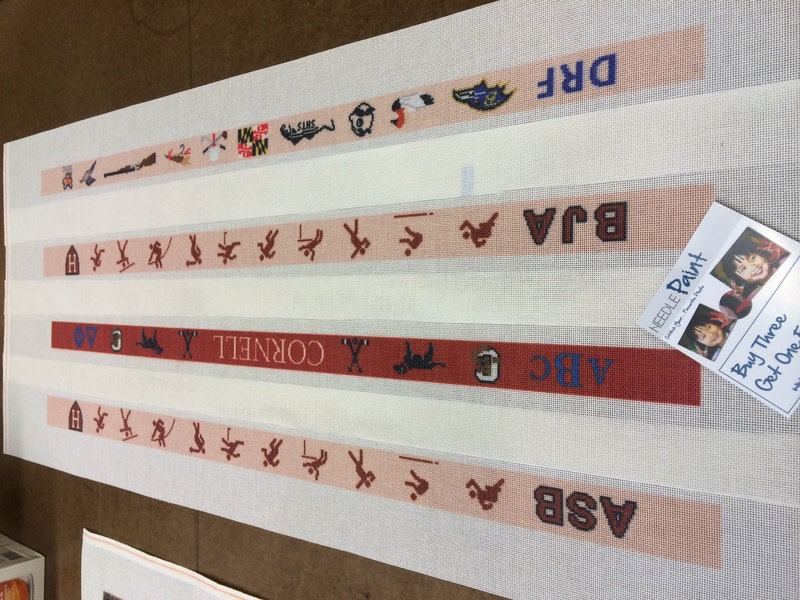 We had a fun custom needlepoint project from our Etsy page to work on. The customer loves the welcome needlepoint pillow, but was wondering if we could put in some of the funny words their daughter says into the design instead of “welcome”. 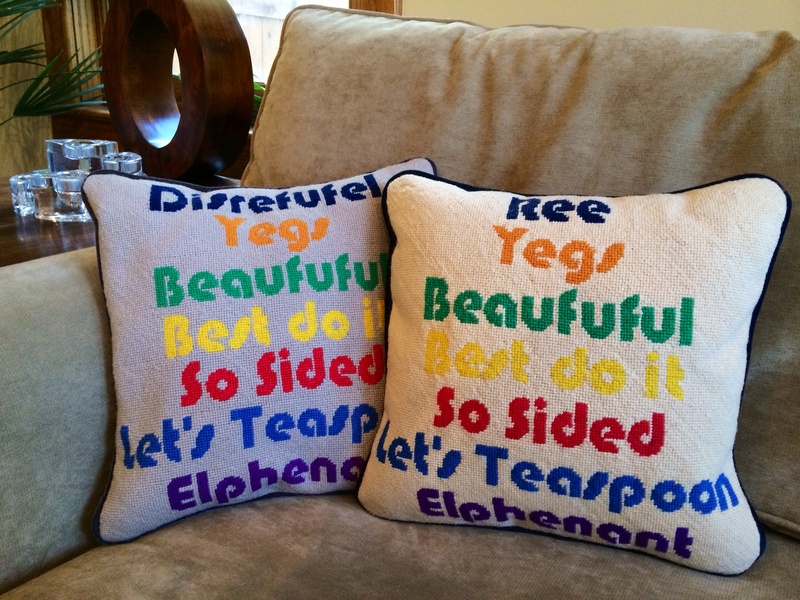 We went back and forth and played with the words, and look how great the needlepoint pillows came out! We had them finished for her using Waverly wool and velvet backing with piping (different color velvet for each pillow). Totally worth the time that went into this project, these will be the talk of the house for a long time. Click like or share these pictures if you like them too! Spread your Christmas wishes and delight a family member with a personalized needlepoint christmas stocking. Peace on Earth is a dream we all share in hopes for a brighter future. The lion and the lamb symbolize the coming together of foes and the end of suffering on Earth. Your Peace on Earth Needlepoint Christmas Stocking Kit is designed to be personalized with the name printed onto the canvas, so you won’t have to free hand anything! If you want us to commission your own design, just let us know, we’d love to help! 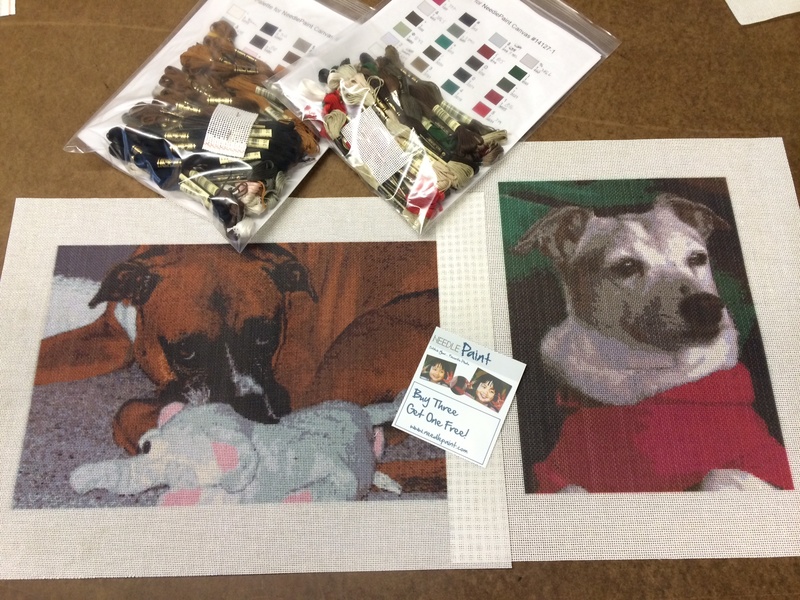 So many great projects this week, but I do love the dog needlepoint kits we make! 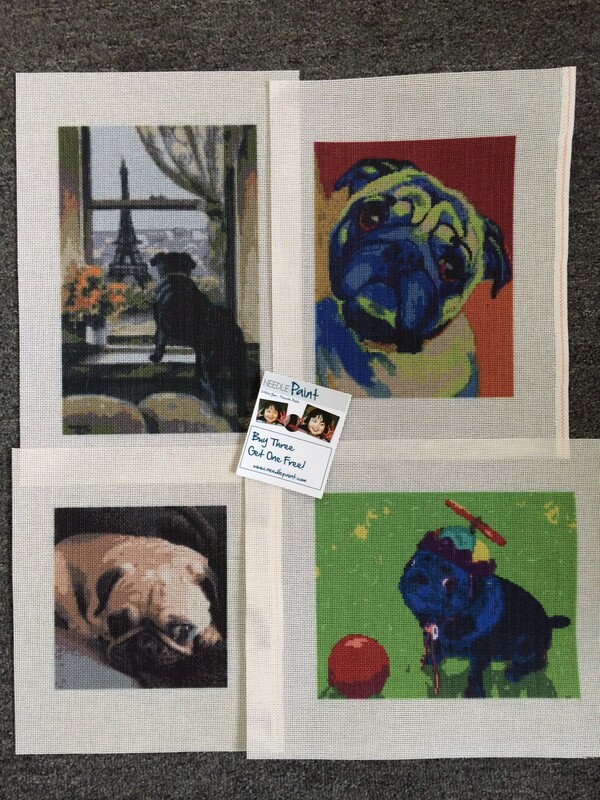 We had 5 dog needlepoint kits and four of them were pugs! 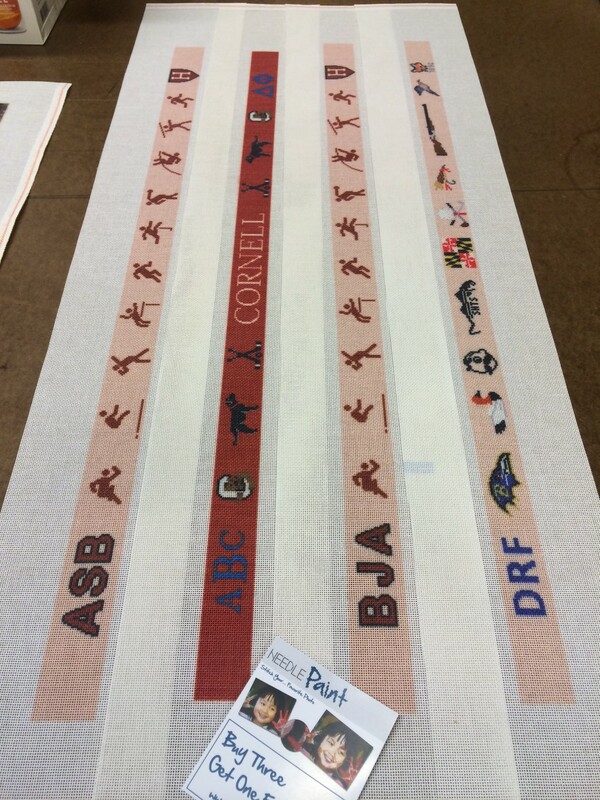 The other images are of art needlepoint kits, one is a vintage stamp and the other is a customer’s project for a school, they look fantastic! 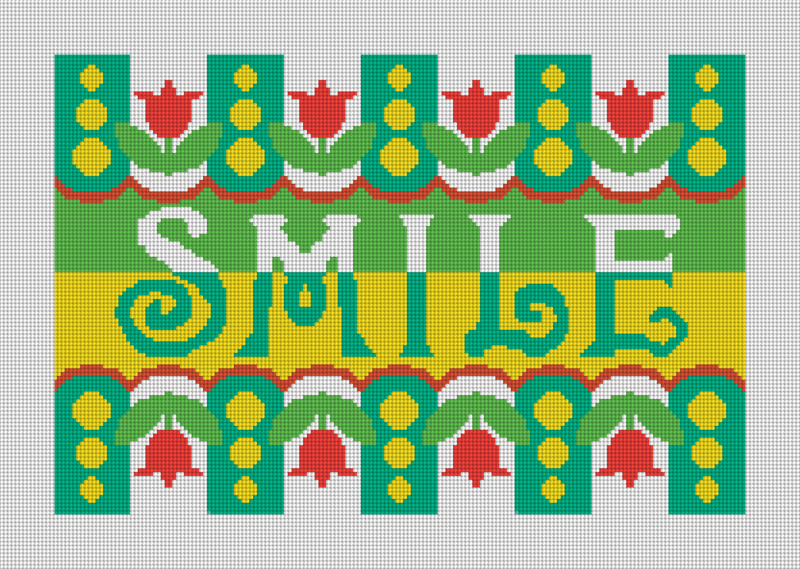 Custom needlepoint projects are so much fun, why not stitch your own ideas! Are you looking for a fun new needlepoint pillow design? One that will bring a smile to your face and brighten up your home? Well, I know this design brings a smile to my face and I also think it looks great. 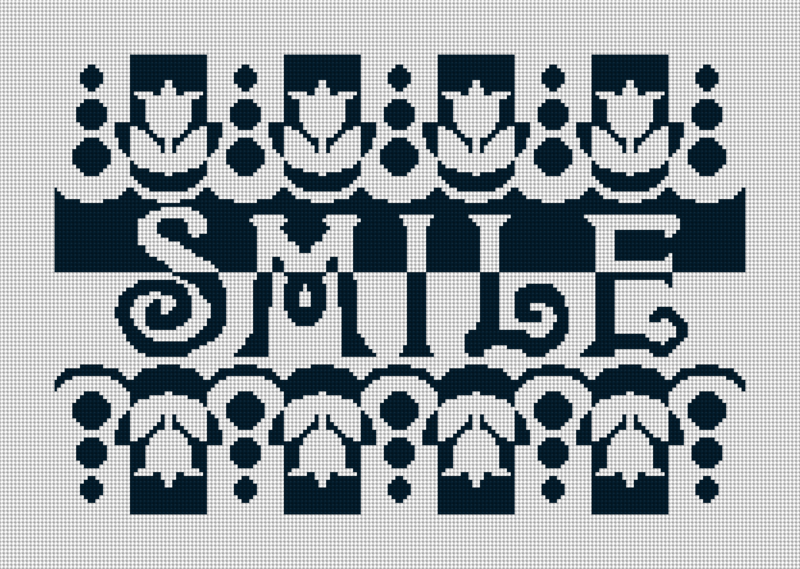 You can order the smile needlepoint kit or contact us for pricing if you want to order a needlepoint pillow. Keep in mind, that the colors can be customized to match your home, and the design can be made 18 x 12 inches if we use 10 mesh canvas. Looking to wow your family members this Christmas? 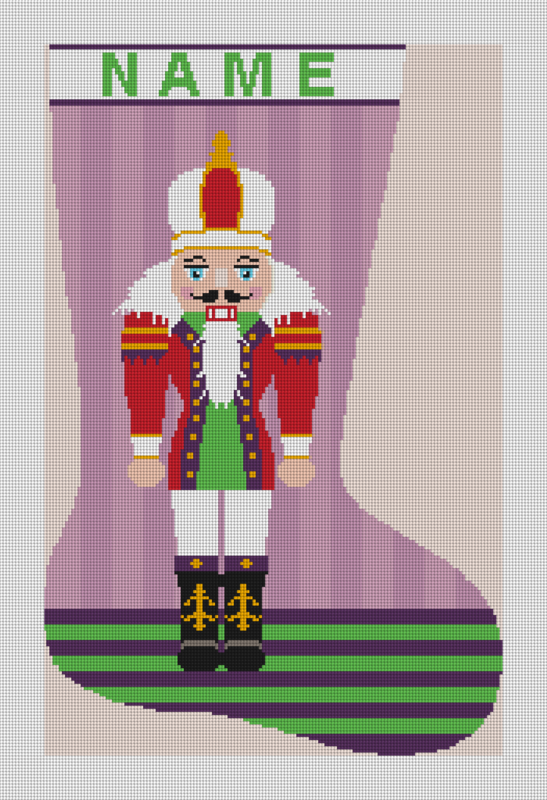 Check out our new Nutcracker Needlepoint Christmas Stocking. 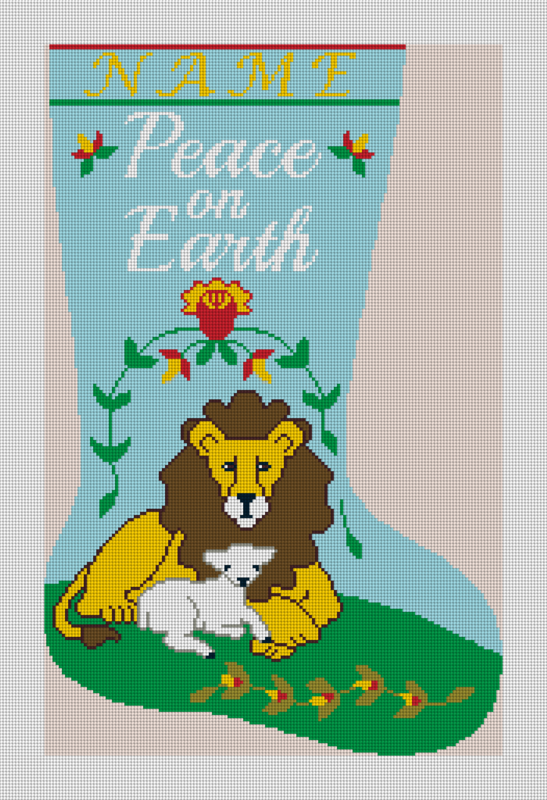 Click here to see this and more personalized needlepoint christmas stocking designs. There is still enough time before the holidays to finish a fun needlepoint pillow. 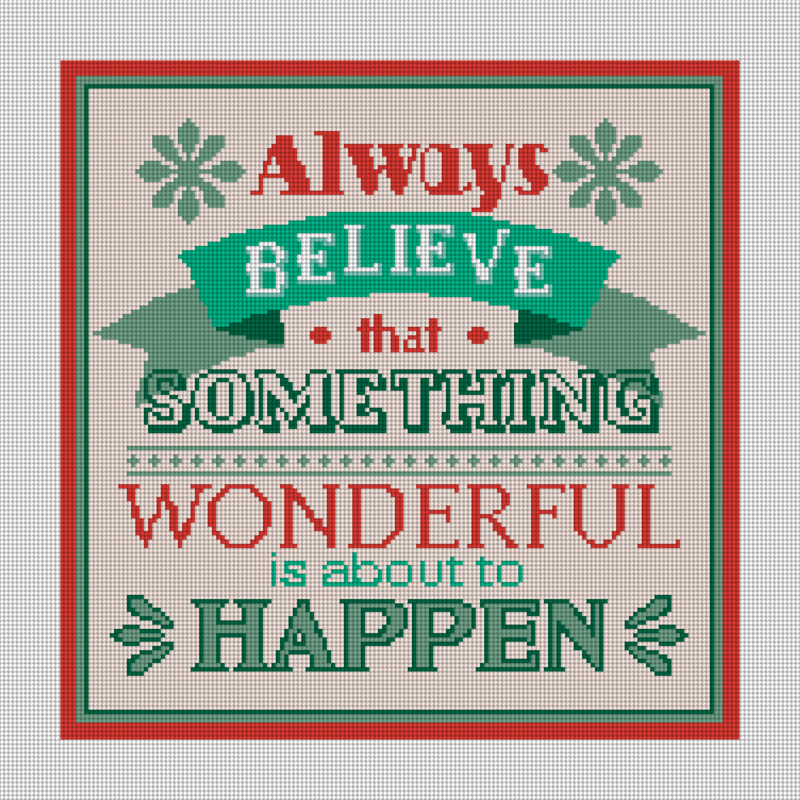 The Always Believe design is both inspirational and great looking! If you’re looking for other fun ideas but can’t find it, get in touch with us, and we’d be happy to help. 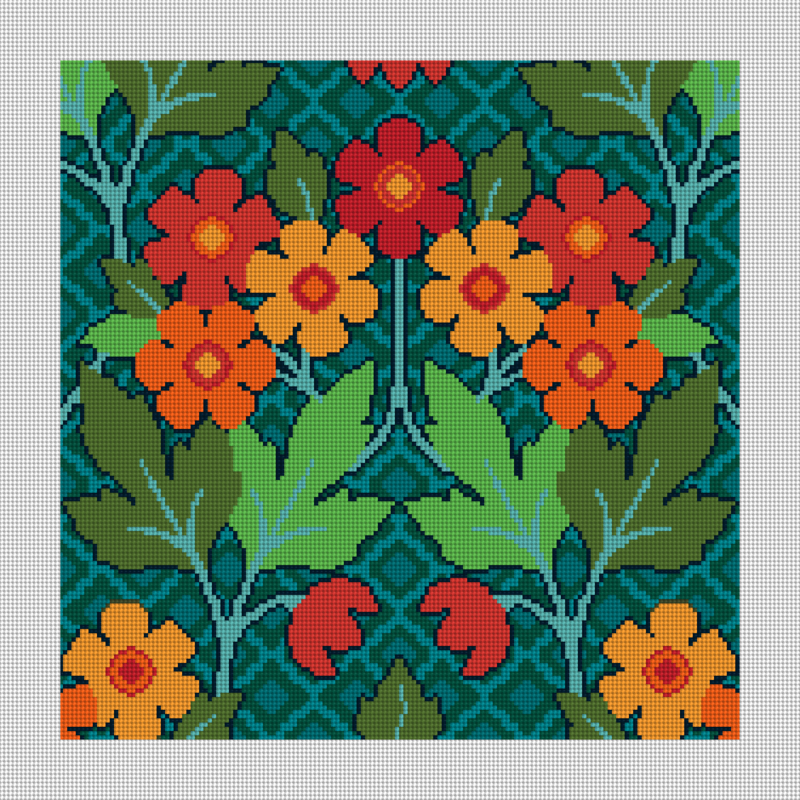 Our latest needlepoint design is the Browninghill Fall Foliage Needlepoint Kit. It can be stitched and hung on the wall or made into a needlepoint pillow. It also coordinates well with the Tadley Needlepoint Kit. New Spring Blossoms at NeedlePaint! It’s Never To Early To Needlepoint A Custom Christmas Ornament! Paddle Your Way To Our Handsome New NeedlePaint Projects! © 2016, Needle Paint Inc.